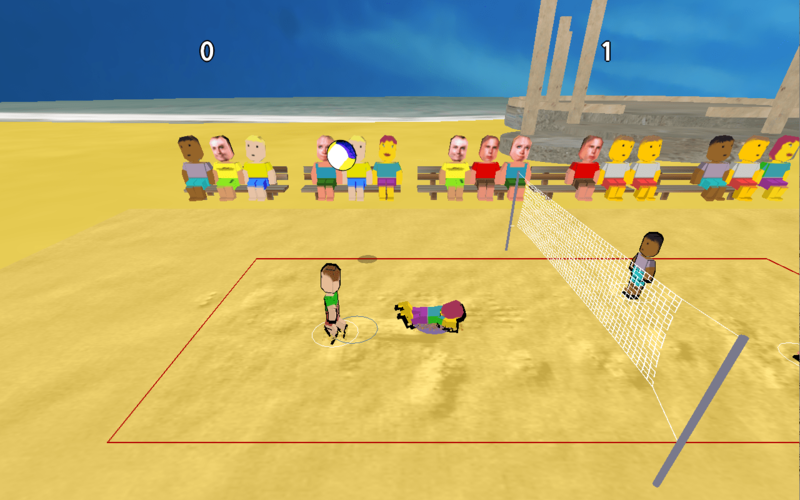 This page is for technical support of the arcade beach volleyball game UBV 2011. You can ask questions by adding comments to this article. The game doesn’t start after update! Can I add custom skins? This will be implemented in the version 1.2 of the game! Soon! Can I change the keys? Not yet. Maybe later. Keep in mind that the current keyboard settings are carefully chosen so that two players can play on one default Mac keyboard without too much trouble. A keyboard only accepts a limited number of key combinations at a time, and the combinations depend on the key grouping defined in the keyboard chipset. This is a hardware limitation that has existed since the good old DOS computing times and beyond. Only one joystick works / Only two joysticks work / Joysticks don’t work! Update to 1.1 via Mac App Store. There was a silly bug / a number of silly bugs in the Joystick support. Now you can see the joysticks by name when selecting controls. I can beat the AI easily! Make a better AI! The focus of this game is not player vs. computer gameplay. The AI acts quite predictably and you can learn to defeat it. Go get some real friends to play with! It’s much more fun!